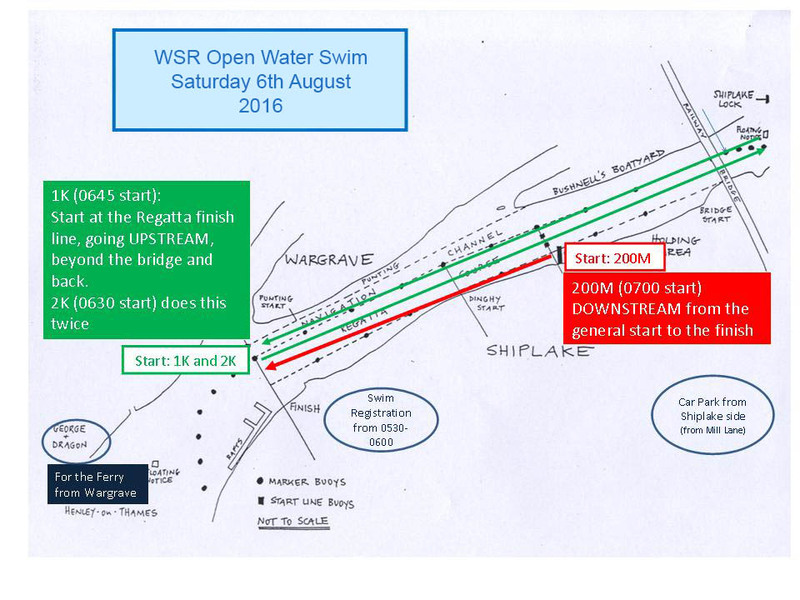 Advanced Registration is now closed for the 2016 WSR Open Water Swim. We are able to process ‘walk-up’ registrations on the day if you forgot or didn’t have time to register on the website before yesterday. If you are intending to register and pay on the day, please aim to arrive by 05:30 to give us enough time to get everything sorted and your entry details uploaded to the scoring app. Unfortunately due to restrictions on our insurance, we are unable to register under 16s tomorrow morning on the field. Further details of the swim are below. 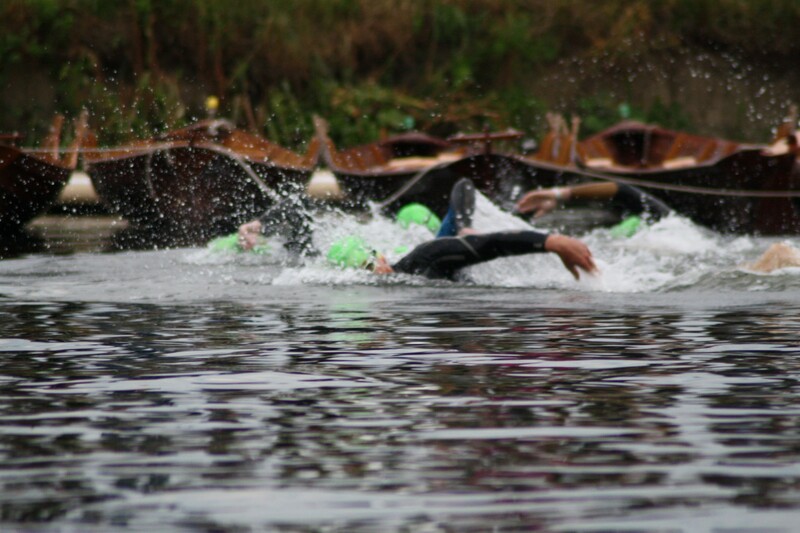 Once again the swim will take place on the Saturday morning of the Regatta, which this year is the 6th August. The 1K and 2K races are again accompanied by a 200M ‘Go With The Flow’ event that allows people to get into the river at the General Start and go downstream to the Finish. For those that haven’t been in the river for a while, or who want to try it, this will be a great way to join in and try it! Registration for all the swims run from 0530 to 0600, with the 2K starting at 0615, the 1K at 0630, and the 200M at 0700… and all followed by a free breakfast! Must be registered via this website by a Parent/Guardian. No ‘walk-up’ registrations will be allowed on the morning for 12-16 year old swimmers. 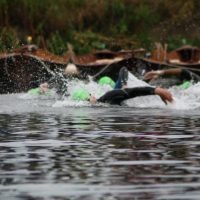 Entries for the 2km ‘Advanced’ Swim remain for 16 year olds and over. We hope to see as many of you on (and in!) the river as possible on 6th August!